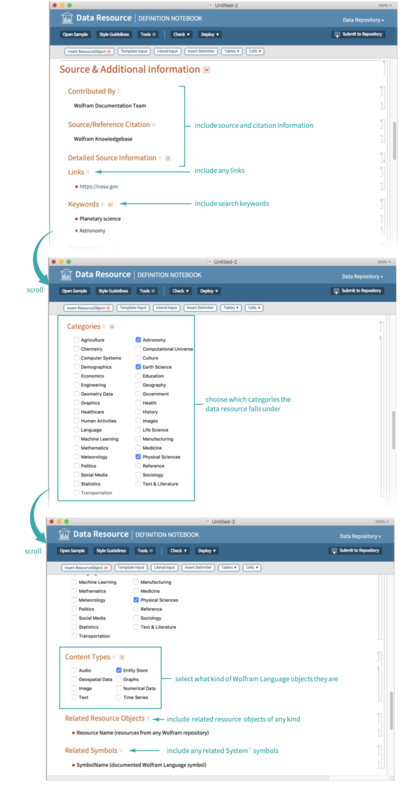 Make your data immediately computable and available to the world by submitting it to the Wolfram Data Repository. Both definitive datasets and interesting samples are eligible for publication. 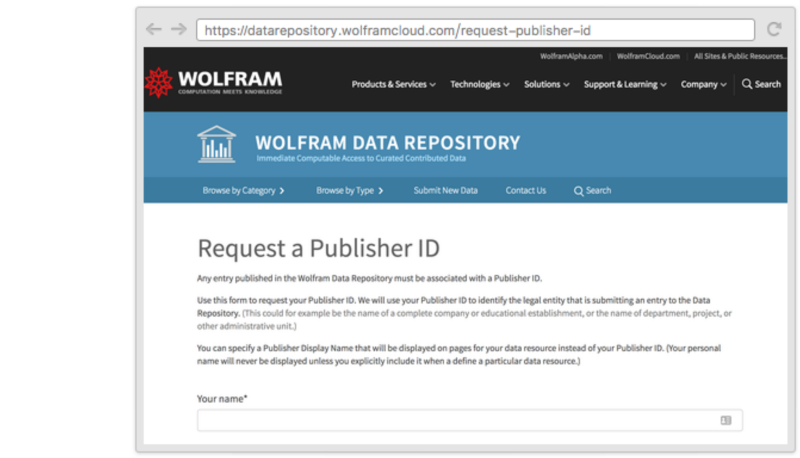 To submit to the Wolfram Data Repository, you must first obtain a publisher ID by visiting the Request a Publisher ID page. See Acquire a Resource System Publisher ID for complete details. Data submitted to the Wolfram Data Repository should either be definitive—for example, “Tornado Touchdowns in Kansas 2000-2010”—or be an interesting sample not already contained in the repository—for example, “Path of the 2007 Greensburg Tornado”. 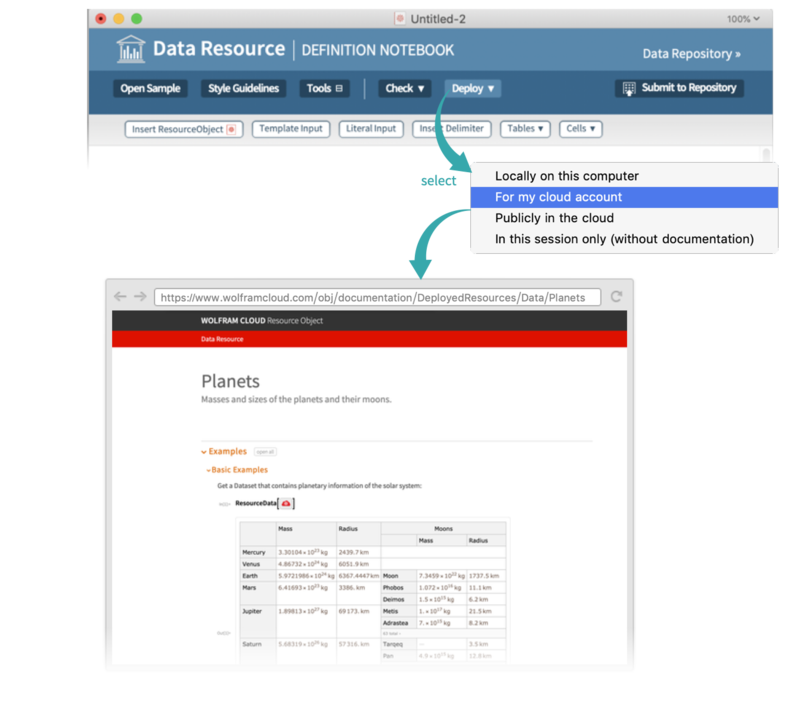 Data submitted to the Wolfram Data Repository is made freely available. If you do not receive confirmation of your submission within an hour, send an email to resource-reviewers@wolfram.com to ask about the status of your submission (please include the name of your resource). Wolfram Data Repository submissions are normally processed within two business days. You can also deploy a data resource privately. See Set Up a Personal Data Resource for details.